An example of line 3 z* would be some realizations of the unfortunate orthographic i after sibilants in Mandarin. In line 4 fɾʼ we don't have the consolation of ɾ being marked for devoicing as in the ejective cluster I referred to re yesterday's post. If JD intended this distinction, it was quite a challenge! Is it an "underlined s with a superior right-to-left arrow" or an underlined Greek xi? No, JHJ, it's not an underlined Greek xi. May I recommend the blow-up strategy I referred to re the last page of nonsense? Everything is much more decipherable even in desktop-width jpg, although you sacrifice some resolution. And John, are you perhaps being ironic when you say what fun you used to have? Or was the fun because JD revealed he was having you on with some of this? Perhaps it's a pulmonic-ingressive affricate, with the "minus underneath" for retraction? That was evidently the cheapest way of writing [ɯ] and [ɨ]. Same logic as for using e for [ɤ] behind those same consonants (and some others). No, it certainly wasn't a xi. Dont forget that my first degree was in Classics, so I certainly know how to write xi properly. @mallamb: it was certainly fun for me and my fellow-student Eleanor Higginbottom. I think DO'C got a little frustrated (though pleased) because we used to get the stuff more or less right all the time, which meant he got through his material very quickly, which meant he had to work hard creating new material. After a while we stopped having weekly one-hour sessions and moved to half-hour ones. David, Not cheap if you have to invent three ridiculous consonants (j,q,x) to save one vowel! [ʨ, ʨʻ and ɕ] are of course allophones peculiar to the archiphonemes representing /g, k, x/ and /ʦ, ʦʻs/ in the context of /i/ or /y/. Neither of those two vowel phonemes are treated rationally in Pin'yin. Is there any opposition between /g, k, x/ and /ʦ, ʦ‘s/ before /i/ or /y/? And can j, q, or x be followed by anything else? What an absurd state of affairs! John, Only kidding. How nice to see a reminiscence of Eleanor Higginbottom. How is she? mallamb, I think you'd better identify yourself if you want to chat about old friends. Who are you? Michael of that ilk. Thanks for asking. One of the first things you asked me nearly 50 years ago was “Ĉu vi scias, kio estas fonemo?” I said I did, but WHAT did I know? How many schools of thought have contended since then? At least I know now what I have made of it myself. What an absurd state of affairs! Oh, that's what you mean, the "allophonic Möbius loop". Well, the consonant letters were already there, while no vowel letter was available. With the exception of the rare ü and the tone marks, Pinyin fits entirely into ASCII, and uses all of it except v; that must be deliberate (I haven't read the official book to find out if it actually is). The "allophonic Möbius loop"! I love it, Is that your coinage David, or am I just ignorant? So what other fancy letters do you think they should have used just because they were already there? And why do you think they did NOT use the vowel letter which WAS available, namely y, for what you call the rare ü? It's only rare because the diacritic is not needed to specify that value after j q and x, which only exist to specify the required value for u and i! So is the u there a homographic allograph, or is there a zero allograph of the diacritic or are the consonants allographic amalgamations of it with the graphemic representations of the archiphonemes or what? So what should they have used for the i of zi ci si? Nothing, again as in Bopofomo. It's often zero phonetically in any case. I did read the official handbook when Pinyin was first promulgated. What a wasteland of wasted opportunities! And of course when I said they didn’t need a vowel at all in zi ci si, I meant to include zhi chi ri. Back when I was discussing Chinese romanization in this blog (rather than, as here, my commentators) I was admonished for calling it "pinyin" instead of the correct "Hanyu pinyin". So now I can return that admonishment. Well it wasn't me that admonished you! And I don't feel mortally admonished now. What other Pinyin is there? And I did say Gwoyeu Romatzyh. Although there is no other Romatzyh either (Ihave googled them both, and even without capital letters, which may make those seem more reasonable statements!) it is far too general a term without the Gwoyeu. And GR is a universally understood abbreviation for it. Is HP for Pinyin? No, I know it from an e-mail from this guy. And why do you think they did NOT use the vowel letter which WAS available, namely y, for what you call the rare ü? They actually tried that at first (and j for /j/). But by the time it became official, they preferred to use j for a vaguely [d͡ʒ]-like affricate. It's only rare because the diacritic is not needed to specify that value after j q and x, which only exist to specify the required value for u and i! Yes, except there's no way to decide if j q x are allophones of g k h, z c s, or zh ch sh (...and historically they're a merger of allophones of all of these), so a decision was deliberately avoided. I don't know how ad-hoc it is. The rule is to put an apostrophe in front of every syllable that begins with a vowel (letter). It is often [ɯ] (behind z c s) respectively [ɨ] (behind zh ch sh), and that is the most prestigious pronunciation as far as I can tell. I've heard people use syllabic [ɻ] behind zh ch sh, but that's not the CCTV accent. Besides, I don't think it's ever zero (except presumably in ri). There's always something voiced behind the (at least initially voiceless) consonant. And apart from all that, why choose to write [ɤ] but not [ɯ]? Why not declare the former some kind of epenthetic schwa and mark the latter instead? Isn't that arbitrary? What other Pinyin is there? In theory, there's the more or less extinct Taiwanese system called Tongyong Pinyin. "there's no way to decide if j q x are allophones of g k h, z c s, or zh ch sh (...and historically they're a merger of allophones of all of these), so a decision was deliberately avoided." I'm aware of what you're talking about, but j q x aren't allophones of anything, but graphemes corresponding to archiphonemes. Is 'allophone' perhaps a typo referring to my observation that "[ʨ, ʨʻ and ɕ] are of course allophones peculiar to the archiphonemes representing /g, k, x/ and /ʦ, ʦʻs/ in the context of /i/ or /y/"? I do try to keep in mind that Pinyin is not meant to be phonemic for the obvious reasons you mention. But it so easily could have been, given that the back of the resistance to the merger of /g, k, x/ and /ʦ, ʦʻs/ had already been broken in earlier proposals. And things like the difference between o and uo are as you say, barely audible. I don't agree that a glottal stop is never inserted in front of yi, wu, or even yu, but certainly most native speakers would stoutly deny it, and the prescriptive spelling may well by now have come close to succeeding in its evil plan to stamp this phenomenon out. And who ever did insert a glottal stop with such deliberate perversity that it needed stamping out? Still, at least we can agree that yi, wu, yu are by no means incapable of contracting these initial semivocalic glides. But given your objection to the unadorned sibilants you're strangely sanguine about the possibility that yi may be a syllabic [j], and wu a syllabic [w]. Would you also be happy with a syllabic [ɥ] for yu? "And of course when I said they didn’t need a vowel at all in zi ci si, I meant to include zhi chi ri. I still missed out shi, didn't I? That was one of the earlier efforts I was talking about, but I wasn't aware of it on the Web, so I'm grateful for the link and will follow it up next time I feel up to subjecting my arthritis and neuropathy to a long enough stint at the PC. I am promising myself a similar endurance test for your Möbius guy's site. It looks as if it may be worth it! "It (i) is often [ɯ] (behind z c s) respectively [ɨ] (behind zh ch sh), and that is the most prestigious pronunciation as far as I can tell. I've heard people use syllabic [ɻ] behind zh ch sh, but that's not the CCTV accent." I agree with all that, and have always aspired to these bel canto pronunciations myself. This is the sort of thing JW was talking about in the interviews he linked to yesterday. "Besides, I don't think it's ever zero (except presumably in ri). There's always something voiced behind the (at least initially voiceless) consonant." "In theory, there's the more or less extinct Taiwanese system called Tongyong Pinyin." I would like to say that my question "What other Pinyin is there?" implied "…that we could be talking about?" Or to argue that Tongyong Pinyin is still for the same Hanyu. But the truth of the matter is that Tongyong Pinyin didn't occur to me, although I went into it in connexion with the Taiwanese educational policy re Min. Re my above reply to your idea of [ɤ] as "some kind of epenthetic schwa"
After "i.e. a phonological zero in the nucleus, which is not even distinct from the o of uo, if you do put the u in prenuclear position" I should have added "or from the o behind labial consonants even if you don't"! That's why I didn't use slashes (or brackets for that matter). Also, the most prestigious pronunciations for those sounds cannot be written in IPA (except perhaps if we throw diacritics around like confetti) because they involve dorso-palatal sibilants – as far as I know, only southerners who don't retroflex really use [ɕ]. Incidentally, how many vowel phonemes has Mandarin really got? It's fairly easy to analyse it as having fewer than the six Pinyin assumes. Would you also be happy with a syllabic [ɥ] for yu? I have heard lots of native Mandarin speakers give presentations at scientific congresses in English. One of the most persistent features of a Mandarin accent in English is to do something weird to word-initial /iː/ and /ɪ/, as in the impact or the influence, and that's the same I've heard with Mandarin yi. I wonder if creaky voice is involved, but that's not all. Do you know what I mean? Incidentally, it is even pronounced [ɔ] in some southern dialects. This shows up in older transcriptions, like "Hoangho", or Omeisaurus which is named after the mountain Emei. – the most prestigious pronunciations for those sounds cannot be written in IPA (except perhaps if we throw diacritics around like confetti) because they involve dorso-palatal sibilants – as far as I know, only southerners who don't retroflex really use [ɕ]. – Incidentally, how many vowel phonemes has Mandarin really got? It's fairly easy to analyse it as having fewer than the six Pinyin assumes. I would like to answer "hardly any", especially if you're going to have syllabic semivowels including [ɥ] ! – I have heard lots of native Mandarin speakers give presentations at scientific congresses in English. One of the most persistent features of a Mandarin accent in English is to do something weird to word-initial /iː/ and /ɪ/, as in the impact or the influence, and that's the same I've heard with Mandarin yi. I wonder if creaky voice is involved, but that's not all. Do you know what I mean? I do indeed know what you mean, and I don't know whether it was ever so transcribed, but I think it belongs to the same sort of onset phenomena as the ng- that used to pop up in some transcriptions as a dummy initial for other vowels. Also, have you noticed that it depends on tone? 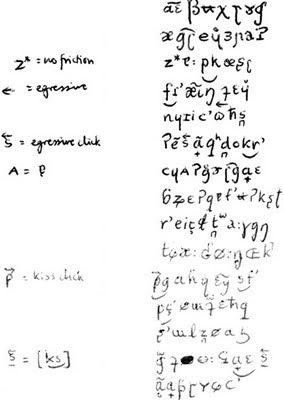 A lot of those outlandish GR spellings were based on tonally dertemined allophony, and that is what the trick of integrating the tones into the spelling instead of having diacritics was based on. The GR spelling pin'in is an example of that, the first tone having a shorter onset of any description than the others spelt with y. Think of a word like因為, which often comes at the beginning of an utterance. Never heard anything like [ʔɪ̄w̃weɪ]? – Incidentally, it is even pronounced [ɔ] in some southern dialects. This shows up in older transcriptions, like "Hoangho", or Omeisaurus which is named after the mountain Emei. Yes, you couldn’t really pretend there was a prenuclear /u/ there then, could you? Or be on the qui vive all the time for contexts other than labials to determine it? I think the merger into a pseudophoneme ə/ɔ was comparatively recent. That's simply not Mandarin, or anyway not Standard Mandarin. Most or all other Sinitic languages have [ŋ] onsets (can even be syllabic in Cantonese – three surnames that differ by tone!). Also, have you noticed that it depends on tone? [...] Never heard anything like [ʔɪ̄w̃weɪ]? No. I'll try to pay attention next time. Yes, you couldn’t really pretend there was a prenuclear /u/ there then, could you? As a separate phoneme? No, and I never did. It's a single di- or triphthong [u̯ɒ ~ ɒɑ̯ ~ u̯ɒɑ̯]. But note that you're talking about uo/o here. I was talking about e [ɤ] (... or [ɯɤ̯] in the syllable e). – That's simply not Mandarin, or anyway not Standard Mandarin. Most or all other Sinitic languages have [ŋ] onsets (can even be syllabic in Cantonese – three surnames that differ by tone!). Of course it's not. That's why I said "the ng- that used to pop up in some transcriptions as a dummy initial": I meant "used to 'pop up' in some transcriptions of God knows what." But I still meant there are all sorts of onset phenomena wherever you cast you gaze. The Cantonese (and other) ŋs, vs, etc. can't really be said to have onsets, can they? Less so than yi, wu etc., anyway. And the Mandarin speakers find these names and their syllabic consonants comical too. Sorry to be scurrilous but I have known them to twit fellow students with the ŋ name by congratulating them on the number of their admirers who intone their name at stool every morning! – Yes, you couldn’t really pretend there was a prenuclear /u/ there then, could you? – As a separate phoneme? No, and I never did. It's a single di- or triphthong [u̯ɒ ~ ɒɑ̯ ~ u̯ɒɑ̯]. I meant one couldn't. I've implored you not to take things personally before. But di- or triphthongs can be phonemic throughout. Im reassured to see you are putting them all in square brackets. So would I. I note what you put there shows typical breaking ditto, with more open values of the o than if it were a monophthong: [u̯ɒ ~ ɒɑ̯ ~ u̯ɒɑ̯]. – But note that you're talking about uo/o here. I was talking about e [ɤ] (... or [ɯɤ̯] in the syllable e). No Im not. Im talking about what you were talking about, as far as I can tell. You were saying 'it is even pronounced [ɔ] in some southern dialects. This shows up in older transcriptions, like "Hoangho", or Omeisaurus which is named after the mountain Emei' And I was saying you/I/one couldn’t really pretend there was a prenuclear /u/ there, or indeed anything in solidi at all that it would be worth speculating about, since being "older", speculative would be what any attempted synchronic observations about it would be! Do let's try to be less adversarial!